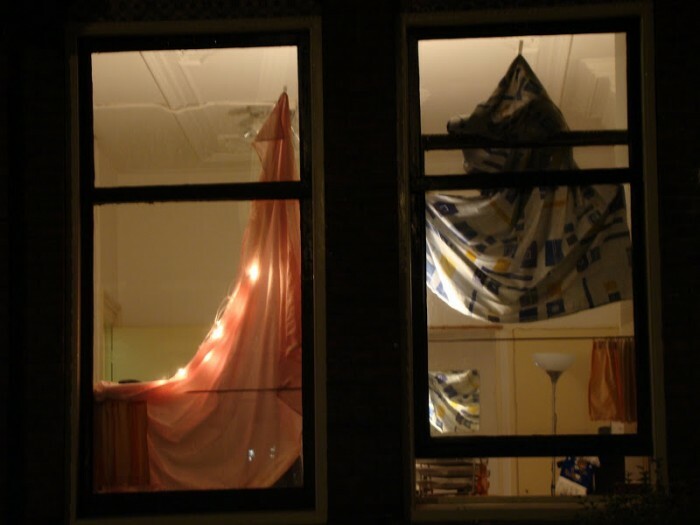 One night the bed sheets of the building in which I used to lived in Utrecht were exposed through the windows. 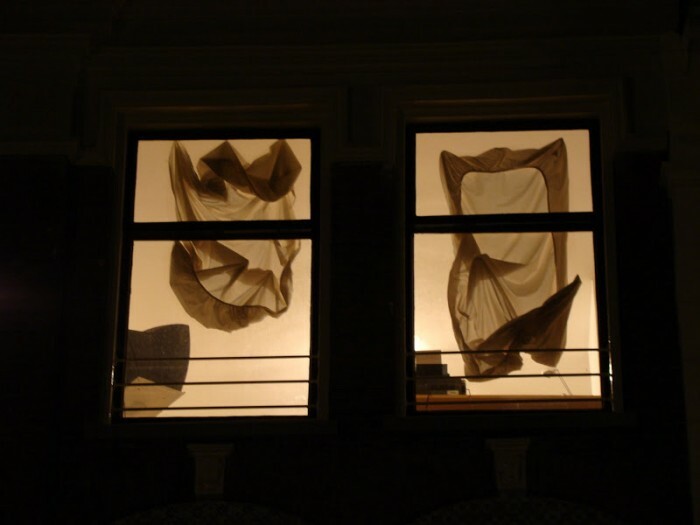 Folds form intimacy used the windows as light boxed to show themselves. 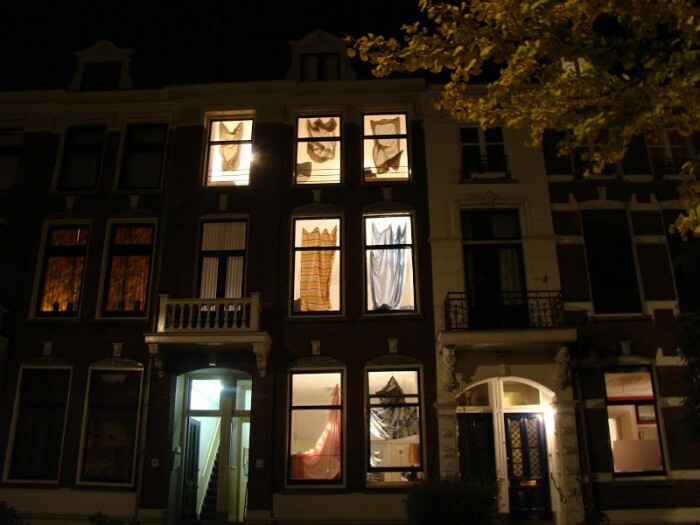 Una noche, las sábanas del edificio donde viví en Utrecht fueron expuestas sobre las ventanas. 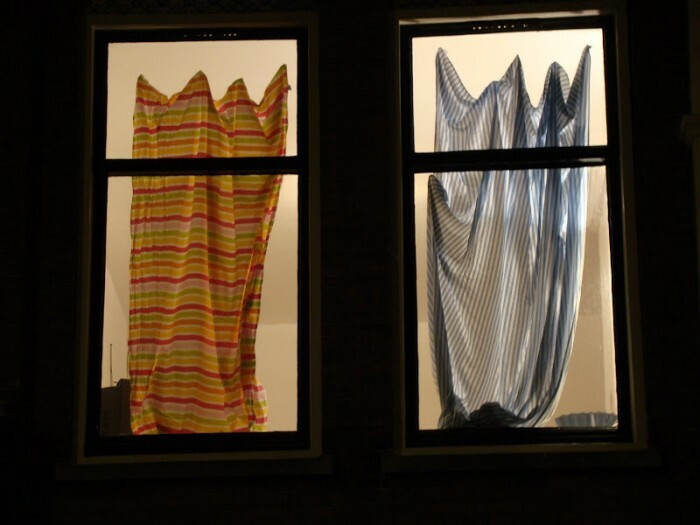 Los pliegues de la intimidad usaron las ventanas como cajas de luz para mostrarse al exterior.